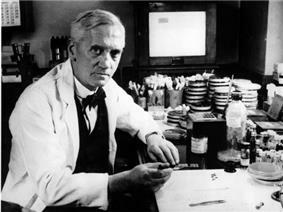 In 1929, Alexander Fleming identified  The era of antibacterial chemotherapy began with the discovery of arsphenamine, first synthesized by Alfred Bertheim and Paul Ehrlich in 1907, used to treat syphilis. The first systemically active antibacterial drug, prontosil was discovered in 1933 by Gerhard Domagk, for which he was awarded the 1939 Nobel Prize. 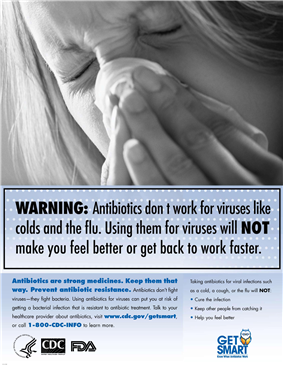 All classes of antibiotics in use today were first discovered prior to the mid 1980s. Nonoperative resource for patients who have non-complicated acute appendicitis. Treatment with antibiotics has been reported to work, with almost no cases of remission. With advances in Bactericidal agents kill bacteria, and bacteriostatic agents slow down or stall bacterial growth. Many antibacterial compounds are relatively small molecules with a molecular weight of less than 2000 atomic mass units. The term antibiotic was first used in 1942 by gastric juices and hydrogen peroxide). It also excluded synthetic antibacterial compounds such as the sulfonamides. Florey and Chain succeeded in purifying the first penicillin,  For their successful development of penicillin, which Fleming had accidentally discovered but could not develop himself, as a therapeutic drug, Ernst Chain and Howard Florey shared the 1945 Nobel Prize in Medicine with Fleming. Florey credited Dubos with pioneering the approach of deliberately and systematically searching for antibacterial compounds, which had led to the discovery of gramicidin and had revived Florey's research in penicillin. Before the early 20th century, treatments for infections were based primarily on salvarsan now called arsphenamine. Congress has been urged in 2014 from several parties to aid the development of new drugs via bills such as ADAPT. Allan Coukell, director of drugs and medical devices at The Pew Charitable Trusts, testified in from of the House Committee, in a statement published by Reuters, that "By allowing drug developers to rely on smaller datasets, and clarifying FDA's authority to tolerate a higher level of uncertainty for these drugs when making a risk/benefit calculation, ADAPT would make the clinical trials more feasible." On 12 December 2013, the  The IDSA's prognosis for sustainable R&D infrastructure for antibiotics development will depend upon clarification of FDA regulatory clinical trial guidance that would facilitate the speedy approval of new drugs, and the appropriate economic incentives for the pharmaceuticals companies to invest in this endeavor. 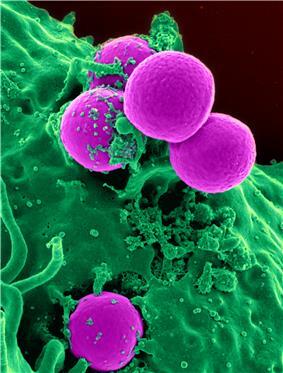 Several molecular mechanisms of antibacterial resistance exist. Intrinsic antibacterial resistance may be part of the genetic makeup of bacterial strains. For example, an antibiotic target may be absent from the bacterial  The spread of antibacterial resistance often occurs through vertical transmission of mutations during growth and by genetic recombination of DNA by horizontal genetic exchange. For instance, antibacterial resistance genes can be exchanged between different bacterial strains or species via plasmids that carry these resistance genes. 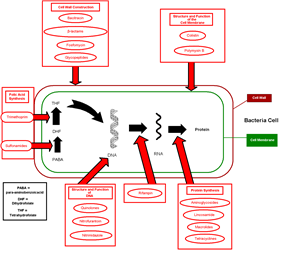 Plasmids that carry several different resistance genes can confer resistance to multiple antibacterials. Cross-resistance to several antibacterials may also occur when a resistance mechanism encoded by a single gene conveys resistance to more than one antibacterial compound. Other effects of alcohol on antibiotic activity include altered activity of the liver enzymes that break down the antibiotic compound. 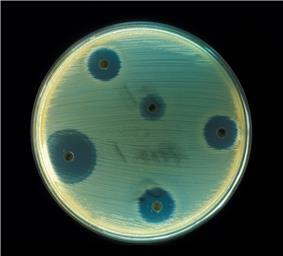 In addition, serum levels of doxycycline and erythromycin succinate two bacteriostatic antibiotics (see above) may be reduced by alcohol consumption, resulting in reduced efficacy and diminished pharmacotherapeutic effect.